Mr. Krohn is a seasoned health care business development and management consultant who has guided physicians, health care systems, and HMOs in their transition to manage care. He is the President of HealthSense; a managed health care business development and management-consulting firm located in Guyton, GA. Client engagements have included strategic and business planning, market research, capital acquisition, single and multi-specialty network development, managed care contracting, risk based compensation plan development, operations management, finance, process reengineering, information systems, product development, e-health and e-commerce business development. Rick has worked extensively with hospital executives, physicians, HMO executives, support staff, health care entrepreneurs, and vendors in a wide range of professional orientations, from new venture business planning and execution to physician specialty network development, to provider education, to HMO restructuring, to managed care contracting and risk based product development, to web site development. During his career, Rick has developed an expertise in providing solutions to managed care issues and challenges faced by hospital executives, physicians, and payors. This is a fourteen part series dedicated to addressing strategies for physician networks. Material for this series has been derived from Mr. Krohn's new book entitled Physician Networks: Strategy, Startup, and Operations, published by the Health Administration Press, Chicago, IL,. Krohn has written extensively on a wide range of health care subjects for publications such as the Group Practice Journal (AMGA), the Medical Group Management Association Journal (MGMA), and Healthcare Financial Management (HFMA). 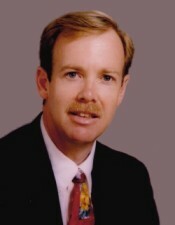 He has also written a guidebook published by the VHA titled Succeeding in Managed Care: Capitation Management (1995), a chapter titled "Organizing and Managing Specialty Networks" in the Aspen book Building and Managing Effective Physician Organizations Under Capitation, (I996), and a chapter titled "Specialty Capitation" in the Faulkner and Gray book, Risk Management for Healthcare Provider Groups 1998 (I997). He has also completed a book titled Physician Networks: Strategy, Startup, and Operations, published by the American College of Healthcare Executives(1998). Rick recently completed an extended monthly column on physician networking strategies for the Group Practice Journal. He is currently researching a book on the topic of Internet based health care technologies. In addition to writing, Rick also speaks to physician and health care executive audiences such as VHA, Premier, AMGA, ACHE, and MGMA about strategic, economic and organization development issues in health care.